Tom Wright has completed a tremendous task: to provide comprehensive guides to all the books of the New Testament, and to furnish them with his own fresh translation of the entire text. Each short passage is followed by a highly readable commentary with helpful background information. The format makes it appropriate also for daily study. 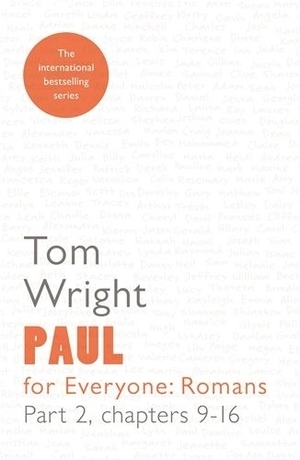 Paul for Everyone : Romans Part 2 : Chapter 9-16 by Tom Wright was published by SPCK Publishing in February 2014 and is our 2153rd best seller. The ISBN for Paul for Everyone : Romans Part 2 : Chapter 9-16 is 9780281071982. Be the first to review Paul for Everyone : Romans Part 2 : Chapter 9-16! Got a question? No problem! Just click here to ask us about Paul for Everyone : Romans Part 2 : Chapter 9-16.